Budsies - Get your kids a doll that looks like them. Or you. 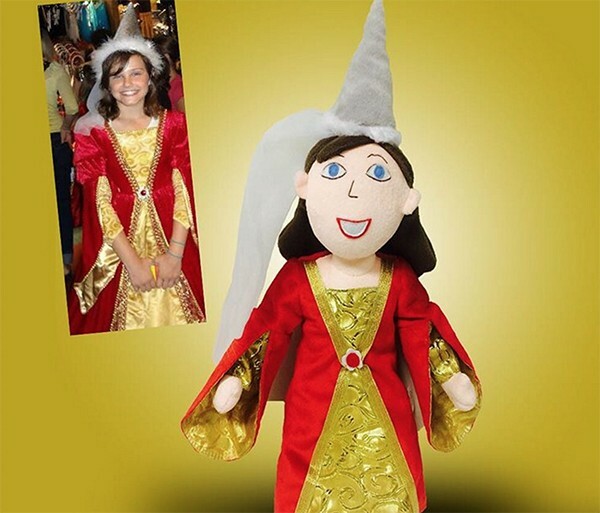 Budsies – Get your kids a doll that looks like them. Or you. We all know how much kids love to cuddle. Every night before bed my daughter has to choose out just the right cuddle buddy from her toy box, which can take a very long time. Making the world more huggable the very cool South Florida based company, Budsies, create soft toys from any drawing or picture. Let’s be real, it’s not exactly easy to find a plush toy that looks exactly like your child’s favourite drawing, person, pet or even themselves. Budsies can customise whatever your little one’s heart desires, making their favourite things more huggable. These handmade toys can be customised to suit, from skin tone to eye colour. Each toy is made to be roughly 40 centimetres, which is the perfect size for little arms. To make things even more exciting, you have the option to add on an authentic Budsies birth certificate. You can choose from three categories when placing a customised order. The Budsies,US$89, allow you to turn your child’s drawings into a self designed toy. Selfies, US$79, are dolls made to look like your child or a favourite person or there’s the soon to be launched Petsies, turning a favourite furry friend into mini sized cuddly toy. Upload a picture of your child’s favourite drawing, person or pet and place your order directly at Budsies, where they deliver worldwide.